Jewelry Days.com Official Blog: $3.8 million for a bag!? $3.8 million for a bag!? 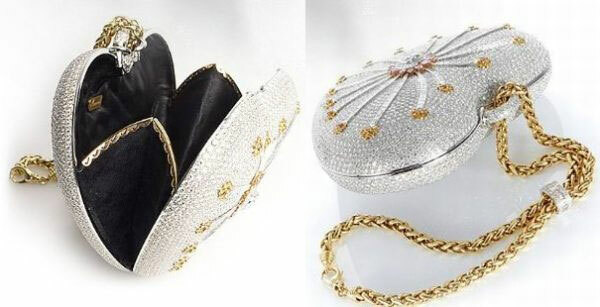 The 1001 Night Purse is covered with 381 carats of diamonds. 105 yellow, 56 pink and 4,356 colorless for a total of 4,517 diamonds. It also took 10 artisans 1,100 hours to complete (4 months) which is behind the name of the purse "1,100" . 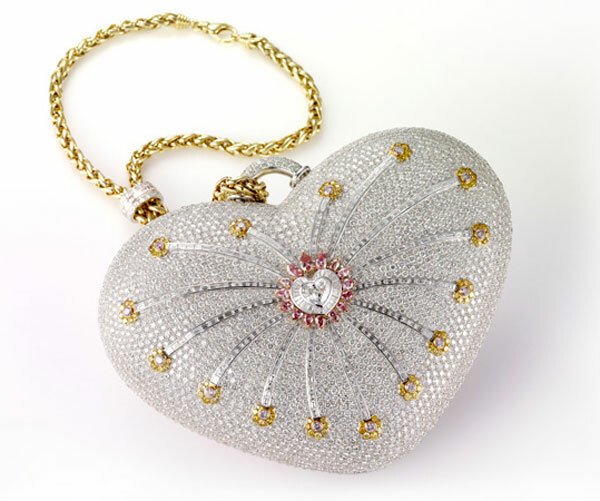 The heart-shaped bag has been named the most expensive handbag by the Guinness Book of World Records. "Like" us on Facebook for exclusives deals and Prizes! !